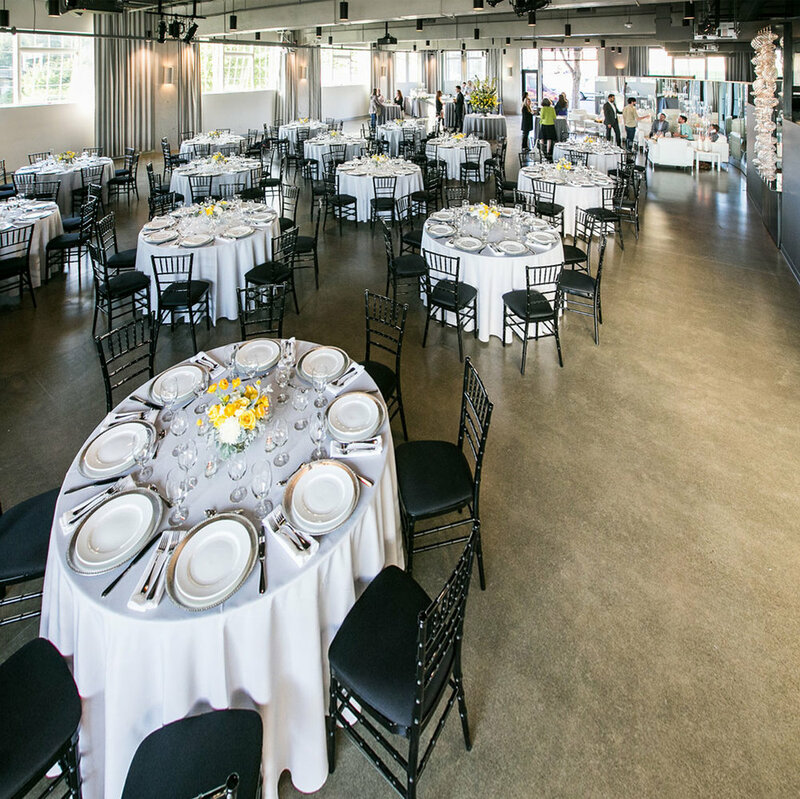 Working with Portland’s largest catering company, we designed this flexible event space within the newly redeveloped Eastside Exchange Building. The design includes a 5,500 ballroom with a 400 sf cafe attached. Custom glass artwork by Andy Paiko frames the entryway. The space includes the spacious, ipe clad, roof deck overlooking the Willamette River and Downtown Portland.